It is a special equipment in hardcover books. It is characterized by good construction, easy to eperation, incision neatly, higher precision and high efficiency. 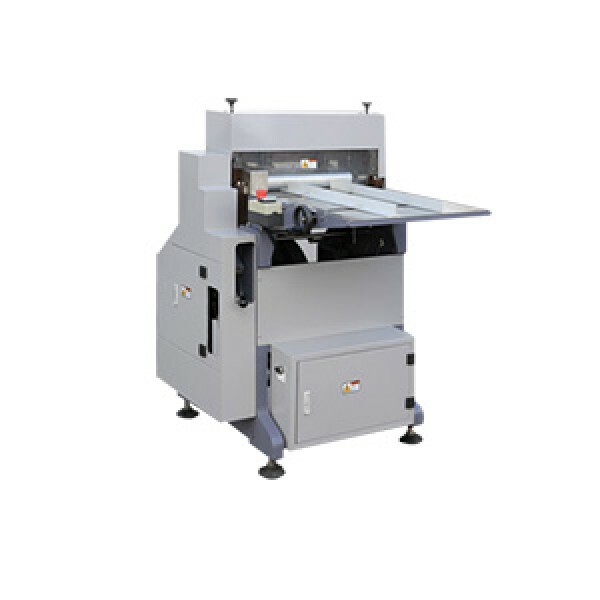 It is applied to cut spine of the hardcover books. 1. The single-chip electromagnetic clutch, stable work, easy to adjust. 2. The concentrated lubrication system, easy to maintenance. 3. Its apperarance beautiful in design, safety cover accord with European CE standard.